Though it is mid-June and monsoon has already reached many parts of the country, I feel the scorching heat of the sun every single day. Though we’ve had a few scanty showers of rain, the heat IS. KILLING. US. But the true pleasures of summers is watermelons, mangoes, jackfruits and pretty florals; and I can’t complain! Most of the summer went by drinking different summer drinks and watermelons played a huge part in it. Excellent sources of Vitamins A and C, it is rich in heart-health-boosting lycopene. And despite the sweetness, a cup of watermelon has just 45 calories. That’s the reason why it is a big part of all the diet plans as well. With over 92% of water content, it is an excellent refreshing fruit for summers. So when the folks at Sviten India sent me their natural sweetener to try out, I instantly knew what I should be making. I opened the refrigerator and found this huge 7 kg watermelon (Don’t blame me. P gets these huge gigantic ones) winking at me and I decided, THIS IS IT! 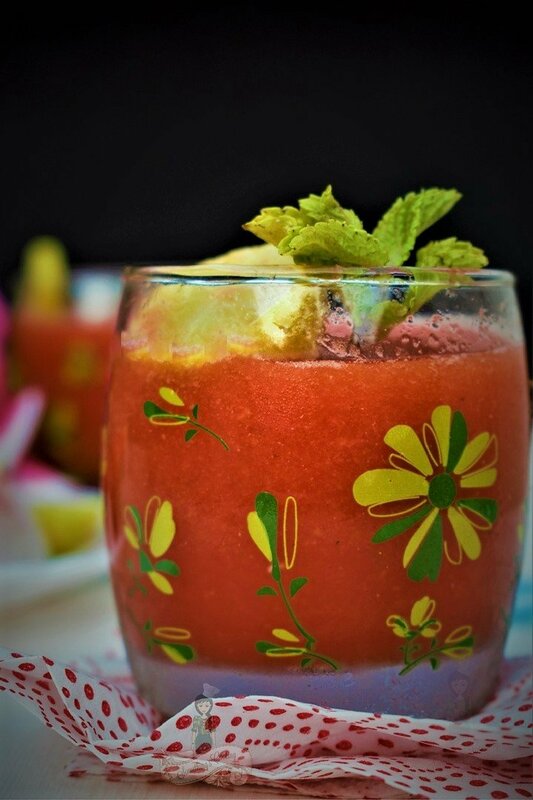 And thus came about this gorgeous, cold, refreshing three-ingredient Watermelon Lime Slush with Sviten Natural Sweetener. 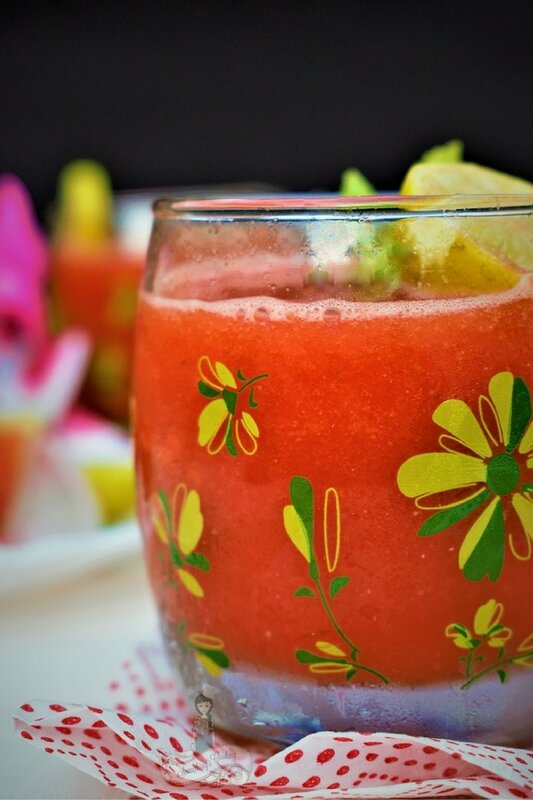 The thing with summers is you tend to drink a lot of cold drinks – be it aerated, squashes, fruit juices, cocktails or mocktails to quench your thirst. This also means that there is a huge intake of sugar and calories when you gulp down a ginger beer or cloudy lemonade whose versions are available in supermarkets. I have been making a conscious effort in reducing our sugar intake and believe me, it makes a huge difference to your body. Such little changes go a long way. I have been trying out different recipes with Sviten Natural Sweetener since last week. From substituting with regular sugar in our morning cup of tea to adding it in mocktails, it has become my guilt free indulgence. Sviten Natural Sweetener is made from the leaves of Stevia plant, which has been in use as a natural sweetener for 200 years. 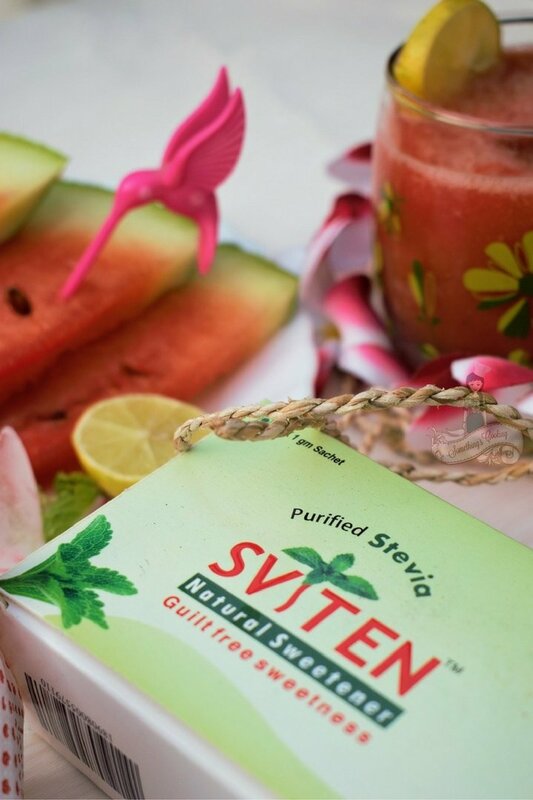 Stevia is sweeter than sugar, and hence using only a single, 1 gram Sviten packet was enough for preparing this 250 gram of Watermelon Lime Slush. Sviten doesn’t contain aspartame, sucralose or saccharin which are claimed to be linked to ailments like cancers, seizures, birth defects, weight gain, and depression. It has zero calories and can be used by people of all age groups. 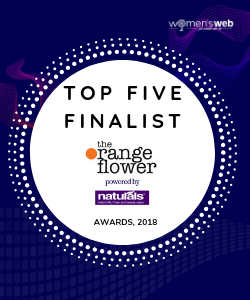 It can also be used by pregnant women, sportsmen, health, and diet conscious for, it doesn’t have any side-effects as an artificial sweetener. A single box contains 50 one-gram sachets thus making it easy to carry around. It doesn’t taste different from regular sugar. 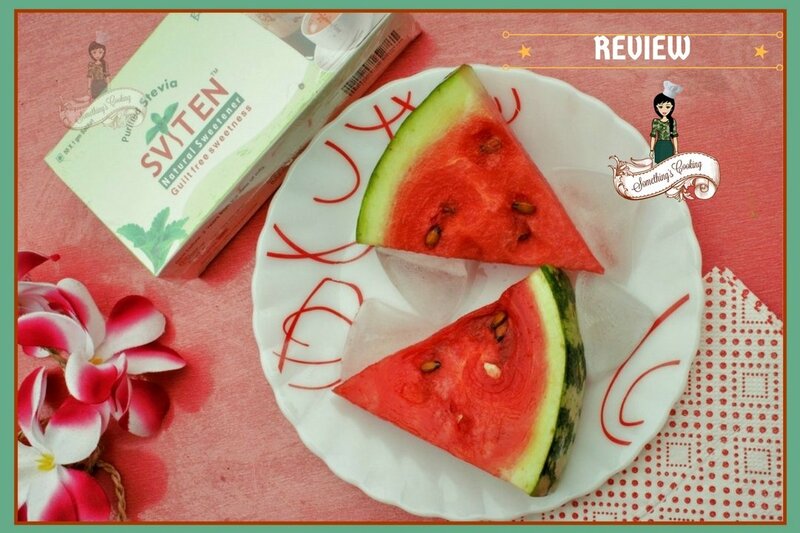 Thus, Sviten is a perfect substitute for preparing sweets, desserts, juices or cakes. Priced at Rs.150 for a pack of 50 sachets, the product is widely available online. You can buy Sviten Natural Sweetener from Amazon. Add the ingredients in a blender and blend well. Add a dash of pepper, mint leaves and ice cubes for enhanced taste. 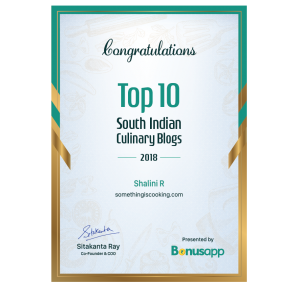 Thank you, FBCI and Sviten India for the opportunity. 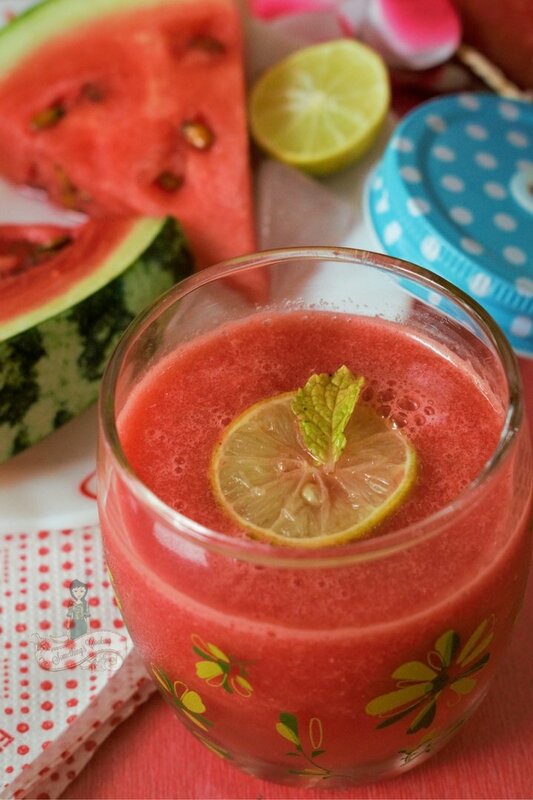 great innovative recipe of watermelon and lime mix! ill try it! Great picture – that looks so refreshing – perfect for our summer days! A small dash of citrus can mean alot to so many fruitdrinks- that are so sweet- I love that. Wow!1 Looks so refreshing.. Love watermelon juice, but never had it with a dash of lime..
What I wouldn’t do for a beautiful drink like this. Looks amazing. But for now keeping myself warm with hot drinks. Your pictures, as always, are on point and beautiful! We all love watermelon. I’ve never tried it with lemon juice. This sounds delicious. The husband is a diabetic so we regularly use artificial sweeteners. Seems like a good option.